PHP scripts mall produces Personal blog, a space for an individual to share one’s notion to the world. We developed this blog for any individual like series writer, politician, a photographer, movie review writer, poets, social critique etc to share their views in loud manner. Our blog is 100% suitable for those who want to post one’s thoughts. You can impress thousands of audience with our classic, aesthetic and colorful blog. If you purchase our blog obviously you and your thoughts will become more popular among many people because many readers will visit your blog. The blog is developed by Wordpress and it fetches so much advantages. We give you the power to customize the blog with a single click of the mouse. You can easily edit and modify the blog based on your interest. This blog has SEO friendly URL and multilingual support. 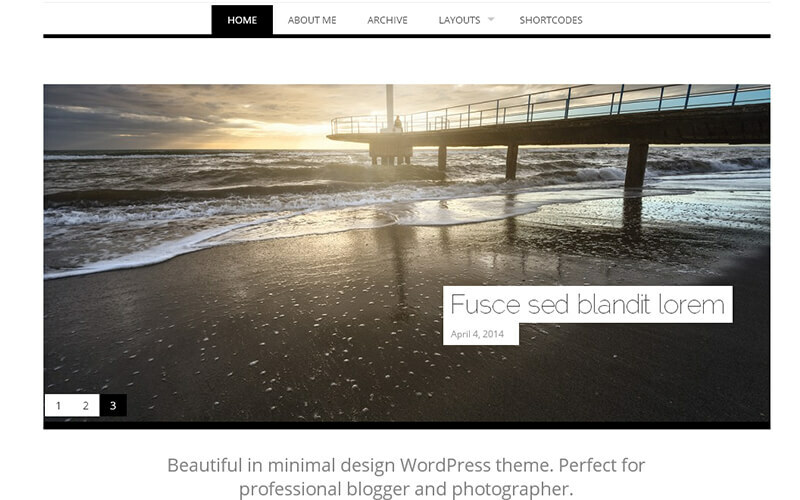 The blog has 100% responsive layouts and compatible with all the types of screens and browsers. We update the blog for every month upto 6 months and we provide free installation and brand free. Just a very well made and beautiful looking theme I just love it. Not much hassle, just plain and simple for creating a nice blog. The customer support is outstanding. Getting back to you very quick and helping you until is resolved. I can highly recommend this theme. Awesome support, great script. No disapointance by my side!!! With this script I was able to posts all my views which I experience it in my life. I got a good number of fan followers. I maintained my dignity in the society. It was quite enjoying with this script. I was able to customize the blog according to much, which is my most favorable part in it. I thank the entire team who are behind this blog. If you’re trying to brand yourself as creative the personal blog is no doubt the way to go. No other blog theme even comes close. I was having some difficulties setting everything up and the support was right there to guide me the whole way through!!!! !